The Baligha Club! – a Fun Learning & Art / Craft Club for Girls. 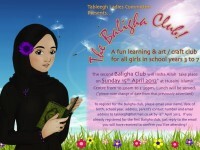 The second Baligha Club will Insha Allah take place on Sunday 15th April 2012 at the Husaini Islamic Centre from 10:30am to 3:30pm. Lunch will be served. Please see attached poster for details. 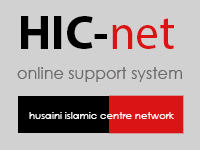 If you’ve already registered, all you have to do is reply to the email you will have received about the Baligha Club II to confirm you’ll be attending. If anyone would like to make a donation towards the Baligha Club, or sponsor one of the events for the Isaale Thawab of their Marhumeen please contact Sis Jamila Asaria (Tableegh).